Welcome to the BullionByPost 'Countdown to Brexit'. Here we will post daily digests of the latest Brexit news, and how it's impacting upon the Pound, the gold price, and the UK economy. You can also stay in the loop by signing up for our weekly email newsletters via the homepage or by browsing our News section. 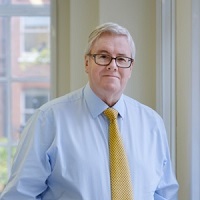 There are three Brexit scenarios that can occur, and each one has a different outcome for gold bullion demand and subsequently prices. Below we explain our understanding of investor behaviour, and how those seeking to preserve their wealth will act. The fear for investors is that a No-Deal Brexit leaves the UK isolated and unable to trade properly. If companies cease to trade at the same levels - because of regulations, tariffs, supply access, and work visas - then they become less productive and less profitable, and less worthy of investment. No Deal has a strong likelihood on the basis of political disagreement; members within the Conservative Party want to remain, want a soft Brexit, and want a hard Brexit. 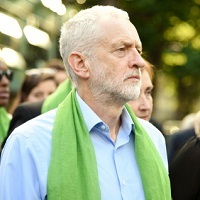 Indecision and a failure to unify will hinder the acceptance of any deal, and even if it skips the party and lands on parliament, there limited chance a deal would be accepted by the Commons. The fear surrounding such an event has already seen spikes in the gold price. Last month, following the Salzburg Summit 'ambush' of Theresa May, the Pound went down and gold went up - first from £901 to £915 per ounce, and within a few days it had climbed further to £930 per ounce. Prediction: Investors are quick to act, and the bandwagon effect is strong. If the UK & EU cannot agree a deal then we should see a snowball effect of demand plus a very weak Pound Sterling pushing gold's price up anywhere north of £1,200 per ounce. Also known as a Hard Brexit, this is the preferred agreement for many members of the UK Government. This would be a complete break from the European Union, meaning no more free movement for migrant workers and no further access to the single market. Investors are worried about the lack of market access, and it's likely that this will deter capital from backing UK stocks and in doing so boost the price of gold as investors seek a new direction for their funds. Prediction: Despite not being part of the single market, it's unlikely that the UK would not establish any European trade deals. The slowdown in the British economy would be enough to weaken the Pound and inspire investor interest so demand raises gold prices to between £970 and £1,100 an ounce, but not so much as to cause a desperate surge in demand that would see it climb to a record level like No Deal might. There is an outside chance that Brexit will be averted/aborted in the event of a second referendum or another general election. 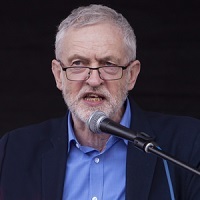 Both the UK's major political parties said they would honour the referendum result, but the Labour Party - along with other opposition parties - said they would respect a second referendum result were the British public to demand a 'People's Vote'. 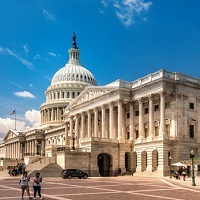 In the event of a re-run and Remain winning it is likely that it would be business as usual in the UK and gold demand would once again be heavily correlated to the US Dollar's strength. Prediction: The price of gold may actually drop as investor fears subside, though it is likely to stay between £900 and £930 per ounce. 27th February 2018 : Corbyn Brexit speech provides respite for Sterling. 14th March 2018 : Spring Statement 2018: "Light at the end of the tunnel" says Hammond. 21st March 2018 : Gold price falls as Brexit 'deal in principle' boosts Pound Sterling. 17th April 2018 : Sterling reaches strongest level against the US Dollar since Brexit began. 28th June 2018 : UK Government urged to speed up Brexit negotiations to protect jobs. 8th July 2018 : David Davis resigns as Brexit Secretary. 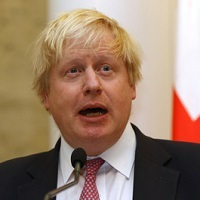 9th July 2018 : Boris Johnson resigns as Foreign Secretary. 13th July 2018 : Trump slams May's Brexit plans and warns of no UK/US trade deal. 6th August 2018 : Pound falls to 11 month low on 'No Deal' fears. 6th September 2018 : Gold up, Pound down, as reports of Brexit breakthrough shot down. 12th September 2018 : Michel Barnier foresees November agreement on Brexit. 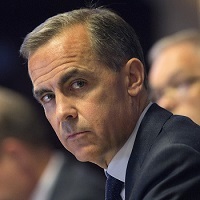 18th September 2018 : Mark Carney, BoE chairman, warns Cabinet of disaster of No Deal. 24th September 2018 : Brexit talks break down in Salzburg, 'Chequers Proposal' rejected. 27th September 2018 : UK Autumn Budget moved forward before Brexit talks. 1st - 3rd October 2018 : Conservative Party conference. 18th - 19th October 2018 : European Council monthly summit. 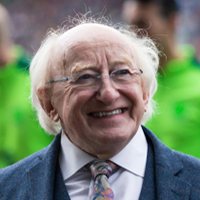 26th October 2018 : Irish Presidential Elections. 7th/8th November 2018 : US Mid-Term Elections. 6th - 12th November 2018 : UK Parliamentary recess. 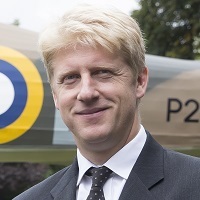 10th November 2018 : Jo Johnson resigns from the UK cabinet. 25th November 2018 : EU Summit for Brexit. 4th December 2018 : UK Government found in contempt of Parliament. 10th December 2018 : Theresa May postpones the vote on her Brexit deal. 12th December 2018 : Conservative MPs initiate No Confidence vote in PM. 20th December - 7th January 2019 : UK Parliamentary recess. 7th January - 11th January 2019 : Debate week in the House of Commons. 8th January 2019 : Government loses vote against amendment to Finance Bill. 15th January 2019 : Government suffers record defeat for 'Meaningful Vote' in the Commons. 16th January 2019 : Government survives No Confidence vote with 325-306 in favour. 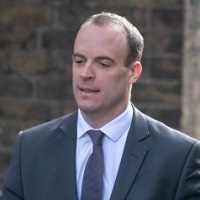 21st January 2019 : Official deadline for No-Deal to be declared. 29th January 2019 : Parliament in 'Next Step' vote on May's Plan B for Brexit. 30th January 2019 : Government wins 6 out of 7 Brexit amendment votes, but Commons rejects No Deal. 5th February 2019 : Theresa May arrives in Northern Ireland for talks with the DUP and Sinn Féin. 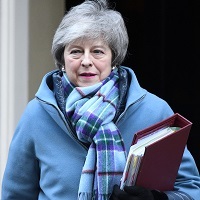 7th February 2019 : PM May arrives in Brussels to attempt renegotiation of the Irish backstop agreement. 14th February 2019 : Second 'Next Step' vote on Brexit due, subject to Commons amendments. 27th February 2019 : Third 'Next Step' vote on Brexit, subject to Commons amendments. 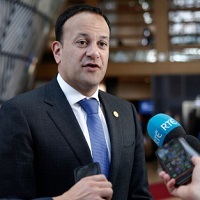 11th March 2019 : Prime Minister makes last-minute trip to Strasbourg for 'legal assurances' on backstop. 12th March 2019 : Second Meaningful Vote on Brexit. 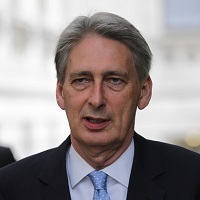 13th March 2019 : Spring Statement from the Chancellor of the Exchequer / Vote on No-Deal Brexit. 14th March 2019 : Vote on extending Article 50 and delaying the UK's departure from the EU. 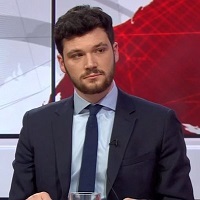 27th March 2019 : MPs fail to secure a majority on a series of indicative votes in the House of Commons. 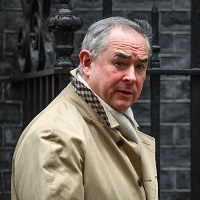 1st April 2019 : MPs fail to secure a majority on a second round of indicative voting in the Commons. 3rd April 2019 : MPs vote 313 to 312 in favour of extending Article 50 again. 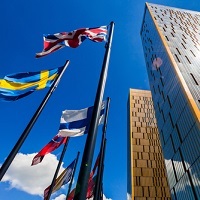 10th April 2019 : The EU grants the UK a second Brexit extension, lasting until 31st October, 2019. 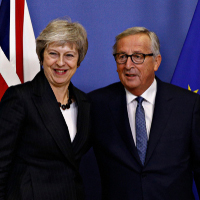 12th April 2019 : Britain leaves the EU if an agreement has not been reached in Parliament by March 29. 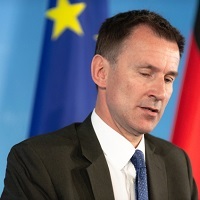 22nd May 2019 : Britain leaves the EU if an agreement is reached by MPs by March 29.
which EU regulations are slowly phased out until the end of 2020. 31st December 2020 : The transition period of Britain leaving the EU officially concludes. negative impact on business in the UK. 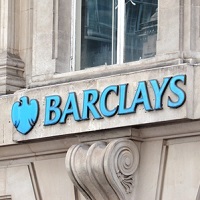 London’s financial industry have halved in the two years since the referendum. it could be a polling disaster for the Conservatives. to October 31st of this year. allowed to leave at any point before this date, should MPs come to an agreement. compromise of six months was agreed and the 31st October date set. summed up some of the options now facing MPs. referendum – are being brought up once more by MPs. this she has already stated her intention to step aside. abated, and without it the divisions of Parliament may once more rise to the surface. through Yvette Cooper's Article 50 extension bill in record time. went to the Speaker, John Bercow, who sided (as per tradition) with the Noes. progressed to the Third Reading, which came later that night. offer/date to MPs. The amendment was defeated by 313 votes to 304.
and the second biggest defeat in modern parliamentary history. Crumbs - a government #brexit defeat by 180 votes. That's an absolute whopper. Was about the government being allowed to seek an extension in its own way. 509 votes to 105 - a majority of 404. The final vote of the evening was on the European Union (Withdrawal) (No. 5) Bill: Third Reading. case was switched around due to prior commitments in the upper chamber of Parliament. long they get - is an entirely different matter. Parliament by April 10th, in time for the EU’s emergency Brexit summit. majority in Parliament during last weeks series of indicative votes. It is very disappointing that the cabinet has decided to entrust the final handling of Brexit to Jeremy Corbyn and the Labour Party. 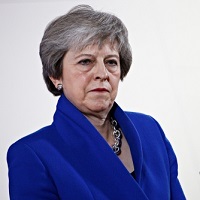 It now seems all too likely that British trade policy and key law making powers will be handed over to Brussels - with no say for the U.K.
likely she has made the decision to get a deal through at the expense of party unity. 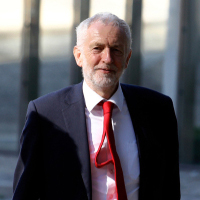 MPs once again failed to secure a Commons majority in favour of an alternative direction for Brexit, after several hours of parliamentary debate. All four amendments chosen for the voting by the Speaker of the House were defeated, leaving the UK in continued Brexit limbo. Last Wednesday's best chance, the Customs Union motion from Ken Clarke, came closest to passing but still lost by 3 votes. Nick Boles, who put forward the Common Market 2.0, saw his proposal defeat too, and resigned from the Conservative Party in protest. The EU's Chief Negotiator, Michel Barnier, admitted today that a No Deal outcome is now more likely, but still held out hope that the UK could reach an agreement that would be less damaging to both parties. Today the Pound is at $1.306 and €1.166 respectively, having been a cent higher before the last night's voting took place. Gold is down almost 1.5% in the past week, but has steadied around £985 per ounce over the past few days. 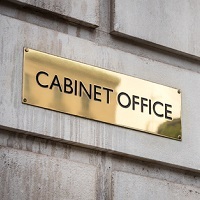 Today the Prime Minister Theresa May is meeting with Cabinet members in a lengthy three and a half hour session (that was originally to be five hours long). 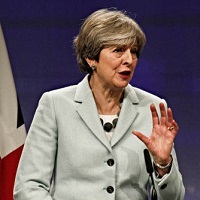 Brexit is to be heavily discussed, with strong rumours that the PM will push forward with a fourth vote on her deal - though it is unclear whether it would be on the full Withdrawal Agreement or just the initialisation as was last voted on. Another point that has been discussed is a confidence motion approach, with the PM offering an ultimatum - back my deal or suffer a General Election. 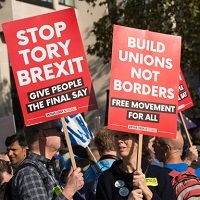 This is a risk for the Conservatives, who were polled by the Mail on Sunday this weekend as being five points behind Labour at present, and senior MPs such as David Davis have warned Theresa May that such a move will still have several Tory MPs voting against her Brexit deal - whatever the consequences. at least the first half of the Brexit deal to pass. defy their party lines to vote with the government. 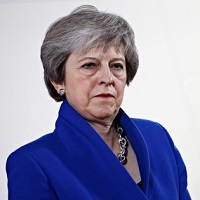 the division amongst the conservative party.
. @theresa_may loses her Withdrawal Agreement by 286 to 344. Now backbench MPs have to take control of Brexit or it’s no-deal Brexit on 12 April, just two weeks from now. 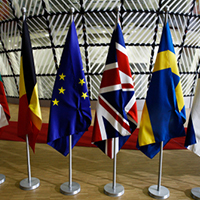 a European Council on April 10th with the intention of deciding the stance of the EU. if Theresa May will ratify the deal in the face of today’s loss. over negotiations during the next stages. next- steps for Brexit – failing to reach a majority for any of them. and could pay the price of losing her premiership to obtain it. an outcome that is un-negotiable with the EU," and refusing to give a ‘blank cheque’ to Parliament. appears to be returning to the PM, if somewhat begrudgingly. will be able to get her deal through Parliament. also require the UK to take part in European elections. whether their decision will be honoured. placing more immediate pressure on MPs in Parliament to reach an agreement. the Dollar and the Euro, while gold is hovering either side of the £1000 per ounce mark. as proposed by Labour to mirror Norway’s model of trade with Europe. May now facing multiple calls to resign from Tory Right-wingers. This feels like the tipping point - after which a capsize is inevitable. Her days as Prime Minister are numbered. behalf of a technical national government until Brexit is resolved. 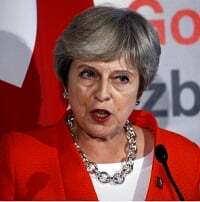 In a hastily-arranged speech at No10 Downing Street last night, the Prime Minister expressed her sympathy for the ‘tired’ British public and laid the blame for any Brexit confusion and delay at the feet of fellow MPs. Has anyone ever learned anything from a speech by Theresa May? How come everyone is so surprised? 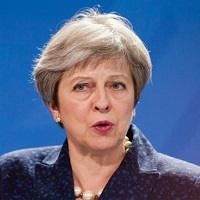 Earlier the PM issued a request to extend the Brexit deadline from the end of this month to the end of June, with the EU Council President Donald Tusk saying that a short extension could be granted if the House of Commons backed May’s deal by the end of next week. 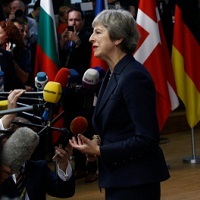 The ultimatum from the EU brought back the threat of a No Deal Brexit, which caused the Pound to drop to a week low of $1.314 and €1.153 respectively. The price of gold has risen in response to a little over £1,000 per ounce, having been as low as £984.36 yesterday. electing MEPs prior to Brexit’s completion. discussions over the next steps. We are due to leave the EU in nine days. made, but it is unclear what impact that delay could have on the current political landscape. the political spectrum later today in order to discuss the delay to Brexit. week if the deal had not been altered in anyway. notice or warning for the government. newspapers took a dim view on Bercow’s ruling. MPs in the Commons using Points of Order to quiz and criticise Mr Bercow for his actions. can debate the new arrangement and also negate Mr Bercow’s ruling on a changed Brexit deal. time for debate in an attempt to decide what shape Brexit should take in the future. backstop, it seems the short timeline will make any significant changes unlikely. Sterling is holding its own against the Dollar and Euro. seemingly taken off the table, only to be returned once more. 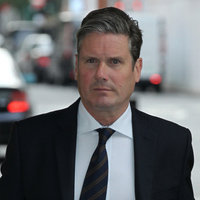 (Work and Pensions minister) voted against the whip and has since resigned. the gold price drop by 1.66% compared to the Dollar’s 0.85%. VERY interesting. John Bercow, responding to a question from @angelaeagle , implied it's possible that if the government keeps bringing back the withdrawal agreement to the Commons, he could rule it out of order as it's not responding to the will of the House. Would be explosive. deadline of March 29th for Article 50, deciding terms and the length of the extension. offer Theresa May an additional four years to resolve Brexit. no-deal Brexit is still on the horizon. 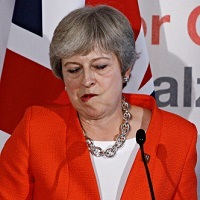 The UK government suffered another sizeable defeat last night as MPs voted 391 to 242 against Theresa May's Brexit deal - the second time the PM's Withdrawal Agreement with the EU had been rejected by the House of Commons. 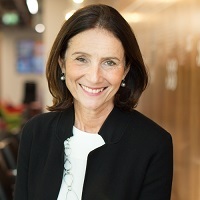 Newspaper coverage (above) has been critical of both the Prime Minister for her weak deal, with some rubbishing MPs across Parliament for the continued stalemate. Bookmakers have a No Deal Brexit at 7/2 odds, while a second referendum/People's Vote is at 11/5. 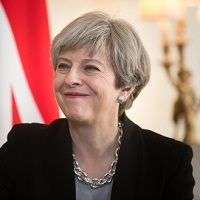 That this House declines to approve leaving the European Union without a Withdrawal Agreement and a Framework for the Future Relationship on 29 March 2019; and notes that leaving without a deal remains the default in UK and EU law unless this House and the EU ratify an agreement. 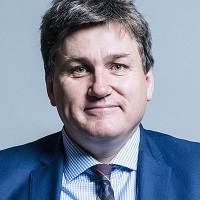 MPs on all sides have criticised the double-negative nature of the motion, with a raft of amendments tabled to adjust the statement. 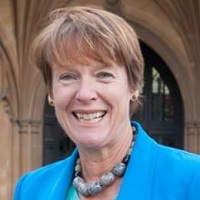 The chief one is led by Dame Caroline Spelman, which alters the text to state that the House " rejects the United Kingdom leaving the European Union without a Withdrawal Agreement and a Framework for the Future Relationship.” Five other amendments are tabled for the Speaker to decide on, including amendments from the devolved governments of Scotland and Wales. Tomorrow's vote will be on whether to extend Article 50 and delay Brexit to allow for proper resolution, but EU officials including Michel Barnier have warned the UK government that even with Parliamentary approval, the European Union cannot grant the extension without a clear purpose for it and a plan of action for the UK's withdrawal - something the government has yet to achieve. Commons ready for Tuesday’s meaningful vote on the Withdrawal Act. their talks – reported as three hours long – were fruitless. proposals or risk a delay to Brexit – and the potential for no Brexit at all. meaning it should effectively be set in stone. voted to support the government in their no-confidence vote. to ongoing uncertainty for the UK and Europe, as well as the impasse currently felt in Parliament. calling the move a desperate bribe. outweighed by this newly offered fund. the withdrawal agreement ahead of next week’s votes. going ahead is to ensure that the Withdrawal agreement passes next week. votes should the PM be defeated again. Labour's approach to a Brexit deal rather than Theresa May's current deal. not leave the EU in a no-deal manner, regardless of the exit date. Europe and EU nationals in Britain. be a subsequent move by the UK government to extend Article 50.
to decide on whether to submit a request for an extension to the deadline for Article 50.
withdrawn in response to Theresa May’s promised votes. Very good news. PM statement does what is needed to prevent no deal exit on 29 March and enables MPs to forge cross-party consensus on new way forward if PM's deal does not succeed on 12 March. No need now for Cooper-Letwin Bill. insight into the current support the PM might get on March 12th. Withdrawal Act fails in the Commons on Wednesday. while the UK can cope with Brexit, the no-deal element is too much strain. ‘negotiations’ between May’s team and EU negotiators. potential of an extra 40% on imported food. in just a month’s time. 29th March. Neither are many businesses. Next Step Vote and the delayed Meaningful Vote on March 12th. that negotiations are “still ongoing”. claiming that Theresa May is “recklessly running down the clock”. Theresa May is putting the country at risk by recklessly running down the clock to force MPs to choose between her bad deal and a disastrous No Deal. Labour will work with MPs across the Commons to prevent No Deal, break the deadlock and build support for our alternative plan. the cross-party Cooper-Letwin amendment to the Withdrawal Act is growing in support. an agreement has not been reached by March 13th. 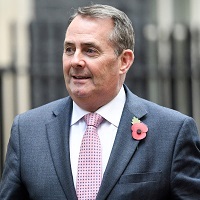 could delay Brexit by two months – a move the Prime Minister had previously ruled out. proven that it would break the deadlock in parliament. EU following strained talks with the government. to budge for her demands progress is a non-starter. mainland Europe - a concession that EU negotiators said they could support. who subsequently won't concede to the opposition. take the Withdrawal Agreement in. language used by Jeremy Hunt and Liam Fox. Japan feels is a passive-aggressive accusation that they are taking their time. up the deal and reach a mutual agreement. 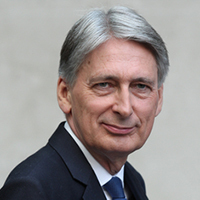 Philip Hammond following the UK’s decision to send an aircraft carrier into the Pacific Ocean. to become operational next year. 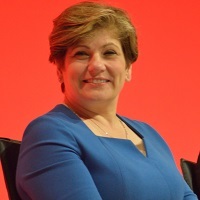 while Chris Leslie called the Labour leadership ideals “narrow and outdated”. negotiated the Irish backstop and terms further with EU officials. with their abstinence on the vote. Brexit at all if the Prime Minister's deal keeps being voted down. Step Vote that is to take place in the Chambers this evening. 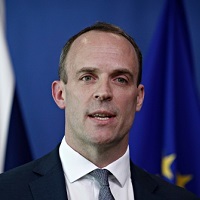 seven days, including the implications of no-deal as presented to the Cabinet. 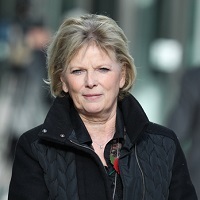 of Deal or No Deal, and force MPs to back her deal after all. that it undermines the UK’s negotiating position. What’s really evident about today’s Brexit debate is that it’s actually a negotiation between the Brexit Secretary and the ERG about whether they will support the Government motion rather than a negotiation about what’s best for the national interest. secret Cabinet papers on Brexit negotiations to the Commons. leader saying that the UK is “too small to appear on the world stage on its own”. had lost 2% of GDP since the June 2016 Brexit referendum vote. are reportedly hovering above zero after a 3.7% drop in 2018 (despite an upswing of 6% in the G7). 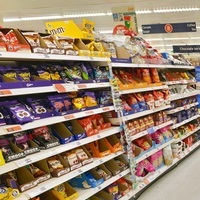 spending, which was caused by the Pound’s devaluation raising the price of goods and services. result, posted on Twitter that concerns about Brexit have escalated as the deadline comes ever closer. Brexit and for a clearer direction of UK trade with the European Union. Click here to read Vlieghe’s full BoE statement. March - something which reporters are claiming sounds like a last minute or deadline vote. three months of delays and dispute. depend on the outcome of this Thursday's vote in the chamber. place; upset the public or upset the party. figures, but the return of the No Deal threat has scared investors once again. 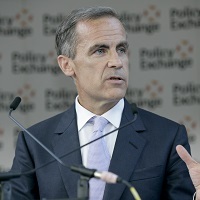 One man who may be regretting his words is Mark Carney - Chairman of the Bank of England. might adjust future UK growth forecasts. was to back May’s deal. shipping times for British goods to eastern Asia. 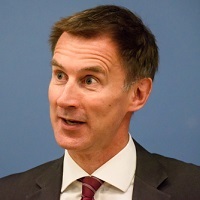 hinted that, in the event of a no-deal Brexit, he would resign his position within the cabinet. book early this afternoon by turning to Twitter to vent his frustrations. I've been wondering what that special place in hell looks like, for those who promoted #Brexit , without even a sketch of a plan how to carry it out safely. with EU leaders and officials on Thursday. the backstop as an insurance policy. year. 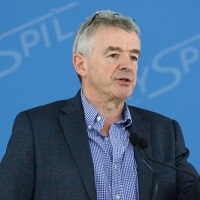 Chief executive Michael O’Leary describing the news as "disappointing". 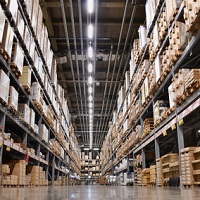 high” and risked damaging the company's revenues further in 2019.
points in January. The point of stagnation is 50, and any lower is a regression. or partially relocate in order to maintain smooth operations. finances and are taking a high risk to pursue the lesser of two evils. 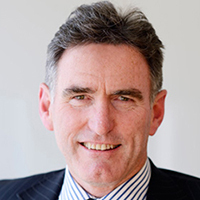 leaders can ignore the hard choices that they face in protecting their companies" said Morgan. capital's staff count from 150 to 300 to assist with the additional asset holdings. - down from £15 million to £3 million. fought to attain from the EU. an option that EU leaders and officials are saying is not possible and will not be entertained. Parliament can decide what classes as Brexit business. Northern Ireland and the Republic of Ireland happens. take precedence in the order of business for the Commons on any given day. the one and only deal available to the United Kingdom, and there will be no renegotiation. or outside No10 Downing Street, likely to follow shortly after. almost 1/3 of British food comes from. low and down £2 per ounce from the peak spot price. going to happen, and to focus on backing that rather than fearing a no-deal outcome. his business lunch with the Confederation of British Industry (CBI) that stood out. betrayal of the British public. broadcasting, with channels such as BBC World and BBC Entertainment at risk. is the logical way forward to move away from the Brexit stalemate in Parliament. post-Brexit if there is no deal; even if they promised to stay during the negotiation period. clarity. But we still have no idea what is really going on here." such as ITN's Paul Brand claiming this is, in essence, still Plan A. 306 MPs voting against it. and the government would have been dissolved. until No Deal is taken off the table there will be no negotiation from their side. of discussions with opposition MPs. of the Commons for a ruling party. expected to be revealed around 8pm. from a No Deal scenario and towards a second referendum. 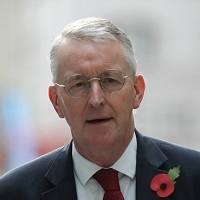 Hilary Benn has been withdrawn this morning, ahead of tonight's vote in Parliament. tonight must be purely focussed on whether or not May's Brexit deal is acceptable or not. 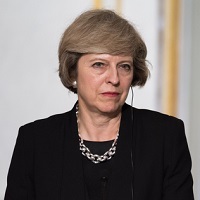 Prime Minister this evening, with many Tory MPs expected to rebel against their leader. of Thrones' to say that "Winter is coming" if May's deal isn't approved in the Commons. 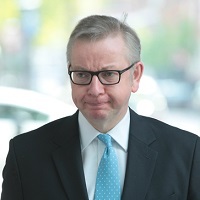 “The day after we vote to leave, we hold all the cards and we can choose the path we want.” – Michael Gove, April 2016.
go and cast their votes. The results are expected around 10pm. likes of JLR pursuing interest. deal tomorrow when voting in the House of Commons. before the Brexit debating between members resumes. Brexit scenario occurred this year. didn't choose May's deal or to reject Brexit altogether. a Plan B should May's Brexit deal be voted down next Tuesday evening. 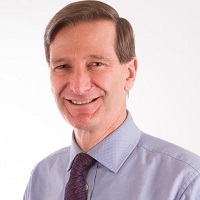 "Each MP is democratically chosen to safeguard the security and prosperity of our country"
the whole country could face a no-deal, disorderly Brexit." 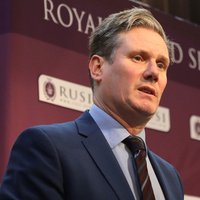 Click here to read the CBI's official statement issued ahead of today's speech. Pound Sterling reached a high point of $1.284 before falling back slightly. well was food, sales of which were 0.6% higher compared to the previous December. 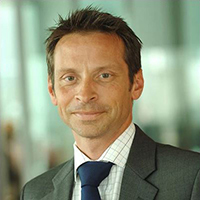 group GfK reporting last month that UK consumer confidence was the lowest for five years. days - a strong signal that a second referendum would be the preferred next step for many MPs. 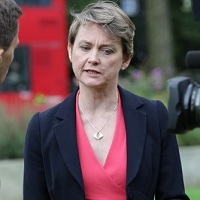 deadline, in what Yvette Cooper (pictured below) and others are calling 'brinkmanship'. [has been] caused by people who suffer from ignorance or privilege. Or both." MPs backing her change to the legislation. than significant". Click here to read the full story via our News section. caused by the US/China trade war, and suggested a similar outcome for Europe in this scenario. Guardian's Owen Jones, with a barrage of sexist and homophobic comments made against the pair. bombarding her with questions while surrounding her and shouting. of 100 vehicles could not possibly reflect the potential problems accurately. return to a hard border. of how to operate as a more independent economic force. Asian Nations - which is a partnership programme between countries in that region. bindings, so were the UK to leave the EU then perhaps such a position would be adopted. level of preparations for a No Deal. mean the motion should be legitimised now as a full blown challenge to the government. It is expected that the motion will be submitted to the Speaker of the House tomorrow. the next year in terms of her party leadership. and in-fighting as nobody wanted to appear too opportunistic. 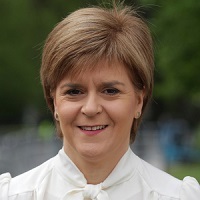 as unwanted within the Commons to the wider United Kingdom. Robert Peston tweeted a similar claim. the first round of voting, are expected at 9pm UK time. then the act of aborting Brexit would be considered legal and legitimate. revocation right also extends with it. from Conservative MPs keen to save face. and the multitude of scenarios that may result from a No vote against Theresa May. situation the UK government and Parliament as a whole now faces. size image of the chart. and demanded that the government share the legal documents in full with the rest of the house. documents would be available sometime tomorrow. 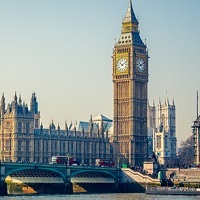 their methods, and their insights into the future of the UK economy in different scenarios. held on the evening of Tuesday 11th December. member states to change its mind on a course of action. to the government with regards the recently agreed Brexit deal with the EU. information - a motion that comfortably passed in the House. early tomorrow with the Commons Standards and Privileges Committee. needs to look at the deal again and make amendments. 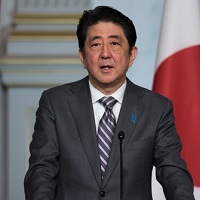 message, stating "We will be able to strike trade deals around the rest of the world." trade deal with Gibraltar, but both countries voted in line with the rest of the EU. from inside and outside her party it's looking unlikely the proposals will pass through the Commons. 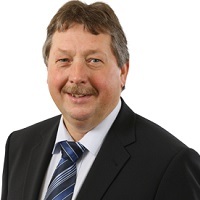 from coalition partners the DUP, and inevitable opposition from the Labour Party. outcomes” that would be beneficial for the UK. while diminishing wages and raising inflation. hoped for, it's a starting point to be worked from rather than something to be thrown away altogether. 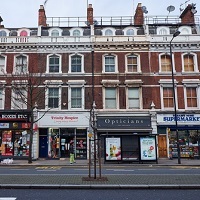 as home ownership and pensions become less achievable in a climate of economic uncertainty. hesitation to stay in the UK and a need for greater worker training and development. good conscience support the terms proposed for our deal with the EU." of a full cabinet meeting Wednesday. perhaps replicating the UK talks, with ambassadors to congregate for the discussion. only hours since the UK and EU claimed they had failed in their overnight talks in Brussels. had to quit as a matter of principle over the direction of the UK's Brexit deal. as I write, will be a terrible mistake." 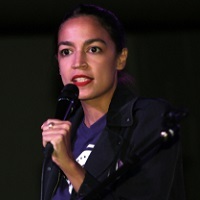 Democrat as the so-called 'blue wave' ushered in 27 new members to the house. and Abby Finkenauer of Iowa, both 29, becoming the youngest congresswomen in history. Polis (Colorado) became the first openly gay US governor. markets - gains that would later hit the Pound and Euro. Click here to read more about the election night. and a further 36 state governors. to be revealed around 8am GMT, with more results coming throughout the day tomorrow. to influence and hinder legislation to temper a lot of the current administration's goals. close to Europe, especially considering many states are also in NATO. suffering because of the uncertainty surrounding Brexit. that Brexit worries are taking an increasing toll on the economy. and the EU can reach an agreement for Brexit. latest UK Budget, with minimal changes in the run-up to Brexit. Budget to adequately handle the Brexit outcome. 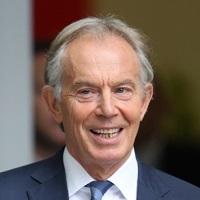 re-elected for a second seven-year term with 56% of the vote. - was far lower than the eligible level of over 3.2 million Irish citizens. 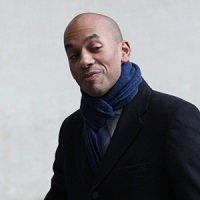 Labour's Chuka Umunna and Conservative MP Anna Soubry. Brexit on the EU's side. is part of the UK and what applies to one should apply to all. negotiators ahead of the upcoming round of talks between the PM and EU leaders. won't result in a hard border between Northern Ireland and the Republic. 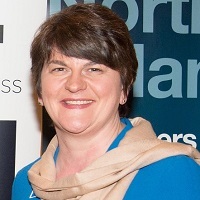 temporarily treat Northern Ireland differently to the rest of the UK for trade purposes. told The Observer that a no-deal Brexit was the probable outcome for the UK now. - the penultimate session to negotiate Brexit with Europe's leaders. still "equipped with global strength". 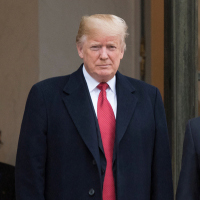 calling it a bad deal. could open up public services to further privatisation – and make privatisation effectively irreversible. governments if regulations impinged on their profits. I share those concerns." the monitoring group, reporting back on infrastructure, innovation, and the state of the workplace. the energy out of Whitehall”. are now the most anxious or concerned about Brexit since the announcement of the referendum result. Chambers of Commerce from last month, which warned of growth slowing to the point of recession. rise from July, with half of the group saying they will slow down their hiring rates as they remain cautious. down and it's believed that this is what drove those increases. night and hinting that both the UK and EU were willing to make concessions to avoid a hard border. moment, which gives them the power to veto a final Brexit resolution. regulation of goods travelling between the EU and the UK, would not be acceptable. unity, leaving Wales “at the mercy of Westminster”. the reduced levels of investment that might be to come if a deal isn't reached. Brexit then that could be zero or negative, and that would affect our profitability and our share price. I might come back, but if it’s really bad I’ll invest elsewhere – that’s the reality of where we are today." on the gold price, but the Brexit concerns are keeping prices £20 per ounce higher than those a week ago. be a case of "a politicians' vote, with politicians simply telling people they got it wrong". the UK Government is willing to soften its stance on the Irish border regulations and reach a compromise. present an acceptable deal to the European Parliament. implemented in the event of no Brexit deal being reached next month.